Like anything simple it is more complicated to say than to do it. Have a safe journey! 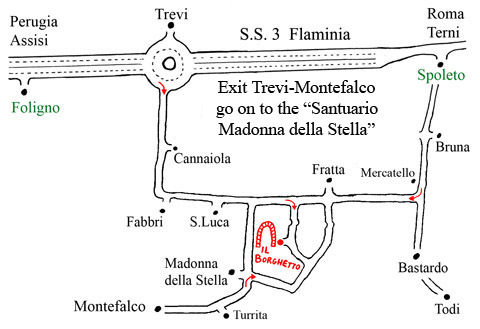 The nearest station is Trevi ( 5 Kms ). If you travel by train we will come to take you.